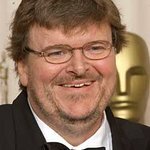 Film-maker and activist Michael Moore has rethought his strategy on how to get Trump out of the White House. He’s not about to launch a new movie disclosing cover-ups and shady deals. He’s about to get on stage in Broadway and perform his new one-man show of humor, called The Terms of My Surrender, a few blocks from Trump Tower in New York City. The Terms of My Surrender will run for 12 weeks from July 28th at the Belasco Theatre. Tickets are on sale now at Telecharge.